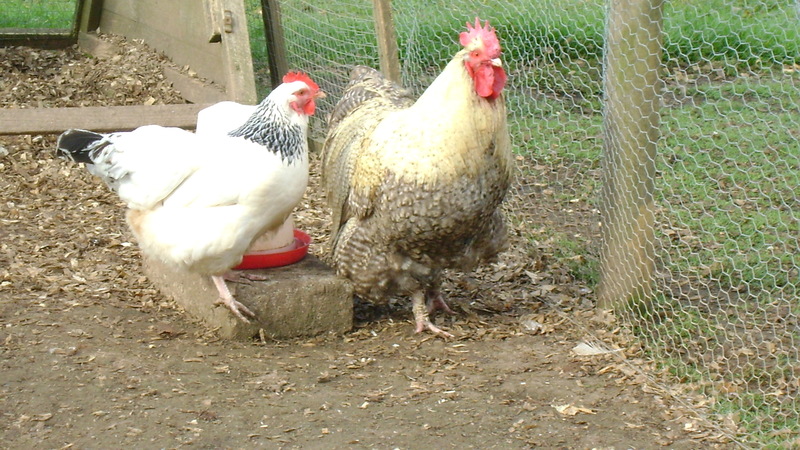 We now have a Buff Orpington Cockerel at the farm, who is looking after our 3 white hens. He had been named Boris! 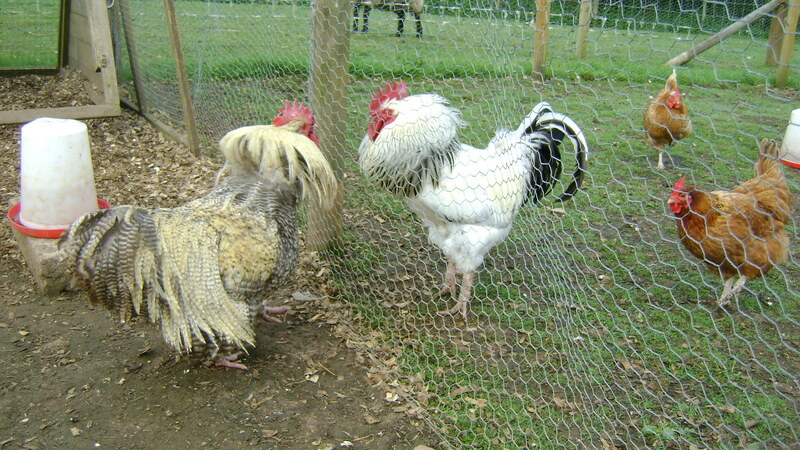 As you can see from the photograph they are large, feathery birds and were named after the town of Orpington in Kent. The black variety was first bred by William Cook the 19th Century and were followed 8 years later by the White and Buff forms. According to research they are calm, gentle and very friendly birds and so far this has proved the case. This is a bonus considering our other cockerel is completely the opposite, but he does do a very good job of looking after his hens. 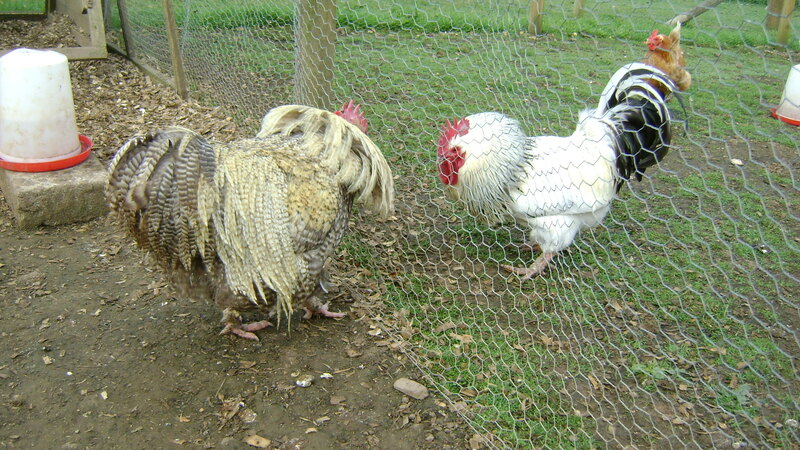 Colin meets new Buff Orpington Cockerel through the wire fence. This entry was posted in Uncategorized and tagged Poultry by abbrookfarm. Bookmark the permalink.